Real life intervenes, Sunday is Mothers Day, anyone who wants # 4 is welcome to it. qual and race. me too, Can I swap to #4? Is it too late or would it be okay to switch to the #86? EDIT: Ah, seen the other topic only now, still early in the morning, nevermind then. I'm not sure what impact the other topic has on this decision; you can have #86 if you like, you'll just be last in the qualy order. Or then you can trade time slots with someone else. May I take the #86? It's yours. You will be added to the bottom of the qualy order; If you want to arrange a time slot swap with someone, you are welcome to do so. A little bit of info for the commentary team. Why did I select the Riley 74 ? I wanted a car that is not an Eagle or a McLaren and the Riley 74 felt good in my initial testing. 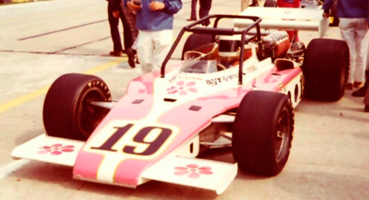 I didn't want to drive AJ Foyt's car as it felt like the favourite car to win the race. How is the car now. I'm getting understeer on corner entry and oversteer on corner exit. Being unable to adjust the front wing doesn't help with the balance. On cold tyres the car is very difficult as I get higher levels of understeer and oversteer. The first qualifying lap is a challenge. Where do I think that I will qualify. With the speeds that people are now doing I'm looking at the second half of the grid, 16th to 33rd. I'll guess 20th. An average time of 47.9 is on the cards. Where do I hope to finish the race. A finish will be good, hopefully fuel useage will slow the laptimes down a bit. A top ten finish will be good anything like a podium will be excellent. Who is likely to win the race. 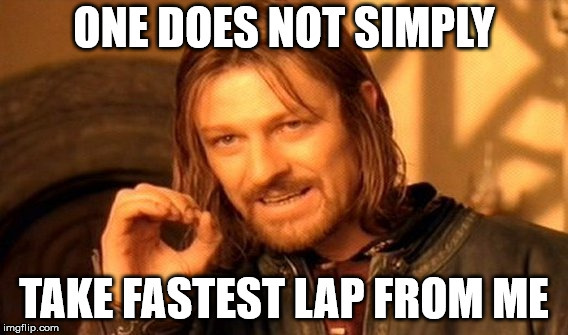 On laptimes alone any car under the 47second barrier. Richard Coxon has shown that he can win the race but I'll put my money on Austin Johnson at the moment. I'm getting understeer on corner entry and oversteer on corner exit. Being unable to adjust the front wing doesn't help with the balance. That is because of overall lack of downforce, you end up pushing the car too much at corner entry and drag the front tires with bigger turn angle than what the turn requires. Then the car slows down enough for the tire grip to catch up, and you find yourself with them still turned left - and bang, the rear steps out. You should balance the car with the rear wing properly and then do the fine adjustments with roll bars. The car is quite sensitive to them. Also, remember that the closer the nose runs to the ground the more grip. Lowering the front and adding stiffer springs will plant it more and allow you to use more rear wing and get more overall grip. Wow thank you for holding me to such high standards!...but this is anyone's race. There is heaps of good drivers in this race. Oval racing is my first love, but over years I've grown more fond of road racing so I've benn slacking on my oval practice. This is gonna be a great race hope I can keep it clean and bring it home. I wish everyone good fortune see ya guys on Q day. so I free my car right now... I'm sorry ... I hope someone can qualify and make a good race. I want to thank Steve for his help with setup that had allowed me in a short time to do a time maybe enough for qualification. I will try to follow the live ... who we will have to comment? since it's the day before Qualifying and my car is nowhere close to being up to speed, despite making huge gains this week, thanks David! I'm still a half second from where the car SHOULD be...and I'm completely lost. So, if anyone would like to shake my car down and see if they can get it into the 46 second range, doesn't need to be 46, but 47.0xx's would be great and then lemme know how you did it, that would be great. Do this offline of course. I can't seem to get it balanced, bot aero wise and speed wise. I'm either tight on entry or loose on exit. You don't want a lot, do you? That's 5,24 litres per lap unless I'm mistaken, and close to 29 laps per full tank. The server is now set for our official session, so GROUP 1 need to make sure they are on the server by 20:05 so they can take their run. 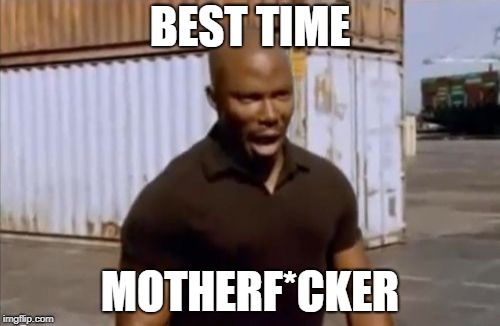 YOU ALL HAVE 10 MINS TO ENTER THE SERVER OR YOU GO TO THE BACK OF THE LINE. Much too cautious, especially on the first lap.